Who Says Bass Don't Bite in Winter? 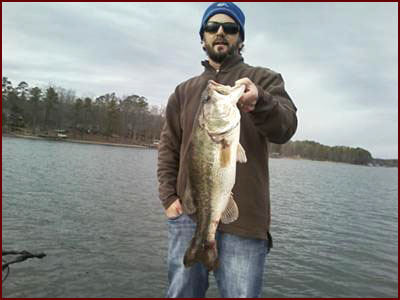 "Caught this 7lb 10oz largemouth bass on Lake Greenwood in South Carolina February 1st of this year. There were two neat things about catching this fish. First, my brother had just pulled into the area I was fishing and watched me catch her. Second, she was caught on a spinnerbait that I built from scratch!" 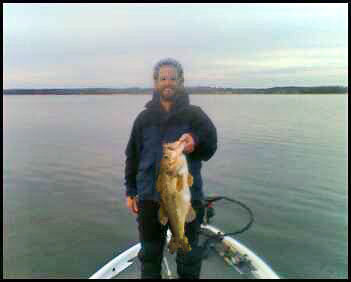 "Best largemouth of last year. She weighed 9lbs 1oz. I caught her on a jerkbait in late February." I was fishing with my good friend Tom who netted her. I asked him, 'ever netted a 9lber' to which he replied "never even seen one". "Good day on the lake with a good friend."